Did you know that laser technology has been used in dentistry since 1990? The technology has definitely improved over the years, developing dental diode lasers, commonly known as soft tissue lasers. These are ideal for procedures that involve opening, removing, or healing oral soft tissues. Our laser dentist in Cincinnati considers surgery to be his patient’s last plan of action. In the instances that it has been completely necessary, the soft tissue lasers have proven to be very beneficial. Dr. Nakhla can utilize a soft tissue laser to make more precise incisions. This in turn reduces bleeding on site while at the same time speeding up recovery. Gum Disease Treatment—Dental lasers may be used to remove diseased tissue and eliminate pockets of dangerous bacteria in the mouth. Soft Tissue Folds—Dental lasers may be used for the painless removal of soft tissue folds often caused by ill-fitting dentures. “Gummy smile”—Dental lasers can reshape gum tissue to expose healthy tooth structure and improve the appearance of a gummy smile. Curing Mouth Sores—Dental lasers treat cold sores to heal them faster (3-4 days rather than the normal 10 days). Some procedures not requiring stitches. Wounds healing faster, tissues regenerating at a faster pace. Some anesthesia free procedures depending on severity. Aiding coagulation of exposed blood vessels, minimizing bleeding. Sterilizing the area being worked on, reducing bacterial infections. It is estimated that less than ten percent of general dentists own a laser for soft tissue applications. Independence Family Dentistry is one of them. 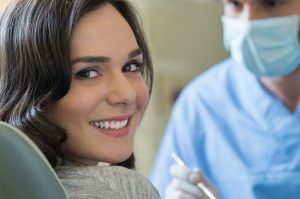 If you consider yourself an anxious dental patient, we highly recommend visiting our dental office. We provide safety and comfort, allowing our patients to relax and receive the dental care they need and deserve. Contact us with any questions you may have or to schedule an appointment to meet your laser dentist in Erlanger.